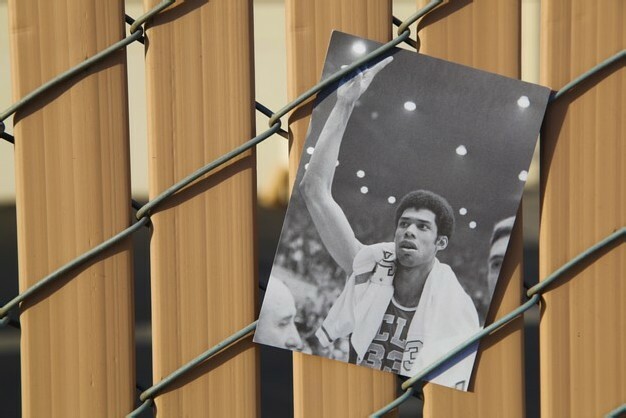 About a year ago, the Los Angeles Lakers immortalized the legendary Kareem Abdul-Jabbar with a statue outside of Staples Center. 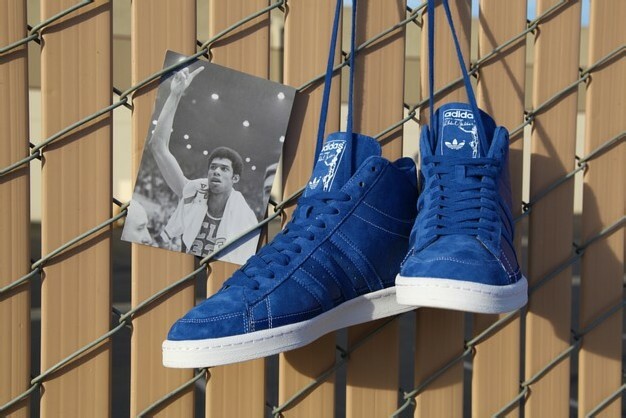 Now, adidas Originals is honoring the NBA’s all-time leading scorer in their own way – with the re-release of his signature shoe. 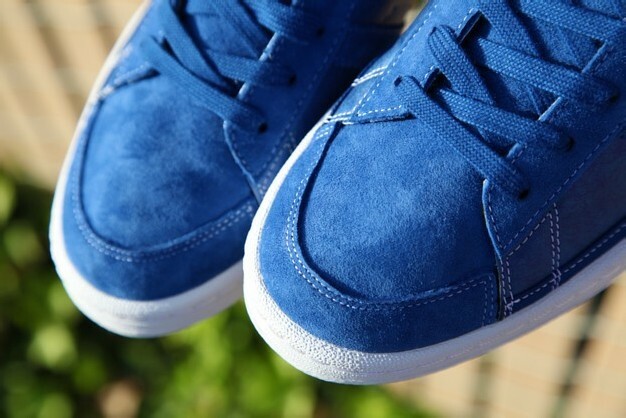 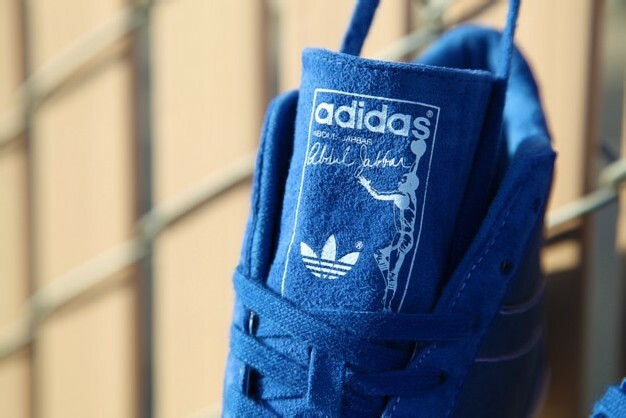 The Jabbar Hi makes its return with this blue-based colorway dubbed “The Blueprint,” adapted from the idea that Jabbar serves as the blueprint for today’s generation of big men. 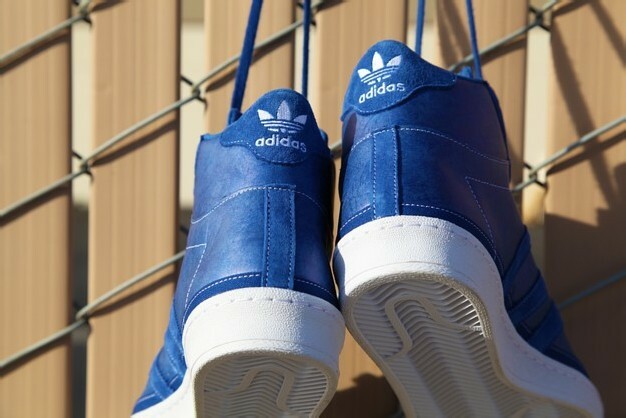 adidas takes the concept literally, as the unique texture of the upper comes from real Tyvek blueprint paper; suede, canvas trim, contrast stitching, and a classic rubber outsole add a bit of character to the simple choice of colors. 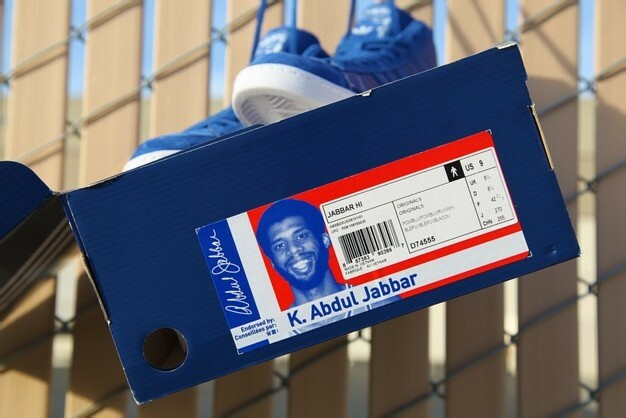 A silhouette Kareem himself can be found on the tongue tag, right in the middle of one of his famous skyhooks. 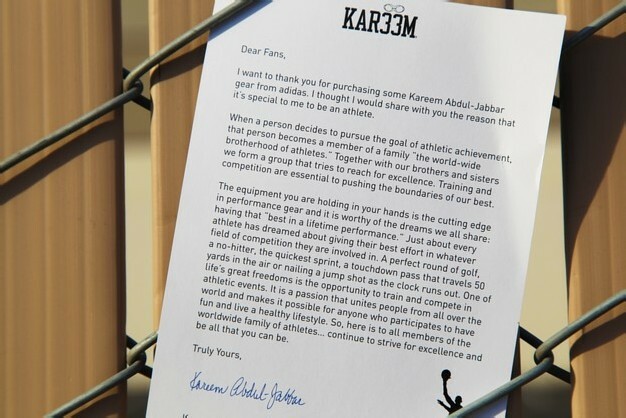 The box even contains a card with a special message from its namesake. 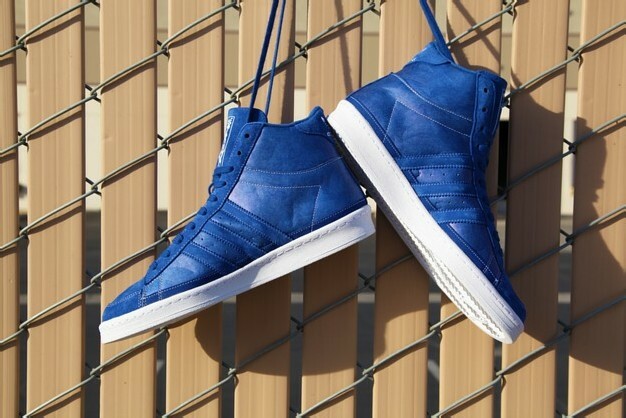 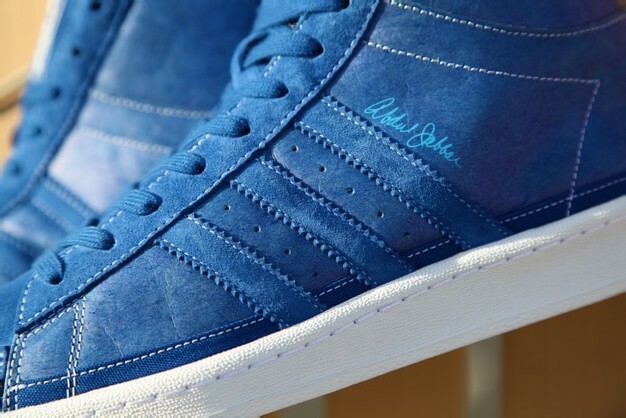 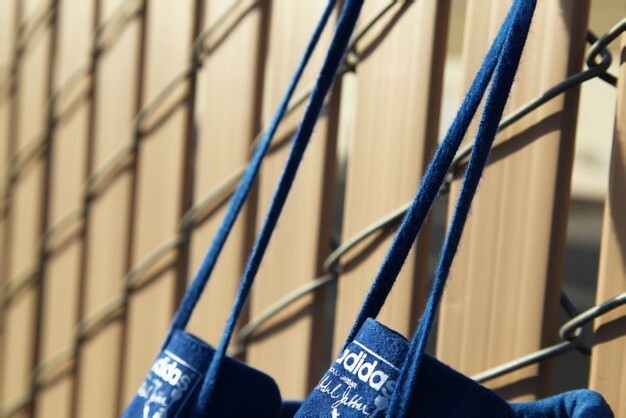 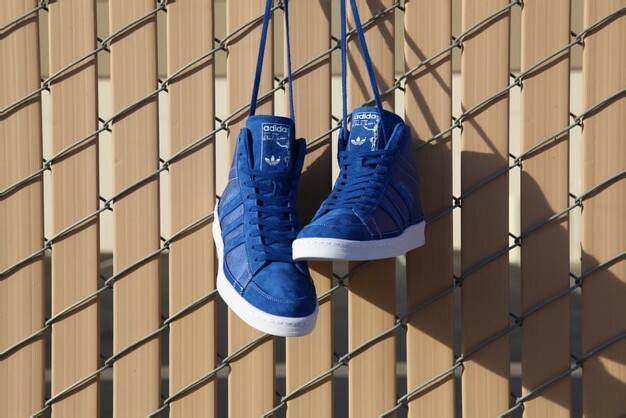 The adidas Originals Jabbar Hi “Blueprint” will be available Friday, February 14 online at BAITme.com and in-store at BAIT Diamond Bar.